Is there anything more elegant than the combination of cream, white and green? 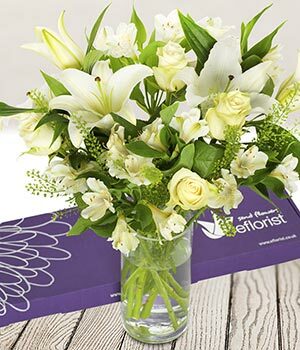 Lilies, roses, alstroemeria and seasonal foliage are carefully selected and packed by hand in specially designed packaging that fits through the letterbox. All ready for the lucky recipient to arrange and enjoy at home. Delivery Info Delivered by Royal Mail with a next day delivery success rate of 95%. Order before 3pm Monday-Friday for next day delivery. Delivery can be within 1-2days of chosen date. 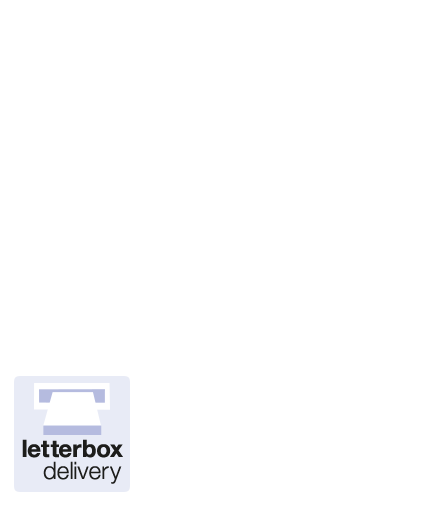 Disclaimer and delivery information Letterbox delivered flowers are available for delivery within mainland UK only. Vase not included. The delivery fee is from £3.99 for this item.